By guest writer Nelson Sebati, Entrepreneur and Non-Executive Chairman at Murason Business Services. He has 10 years’ experience in recruitment, talent acquisition, career transitioning & on-boarding, with a specific focus on IT and Executive skills. He is a certified Career Strategist and Job Search Coach. He studied Entrepreneurship at Wits Business School, Law at UNISA among other numerous qualifications & is currently a member of the YBSA, BMF, REC-UK, APSO, CSSA, ASA, and IoDSA. Murason Business Services is a young diverse company with widespread roots. As a result, we make an effort to gain knowledge from the workings of accomplished business leaders from many walks of life. 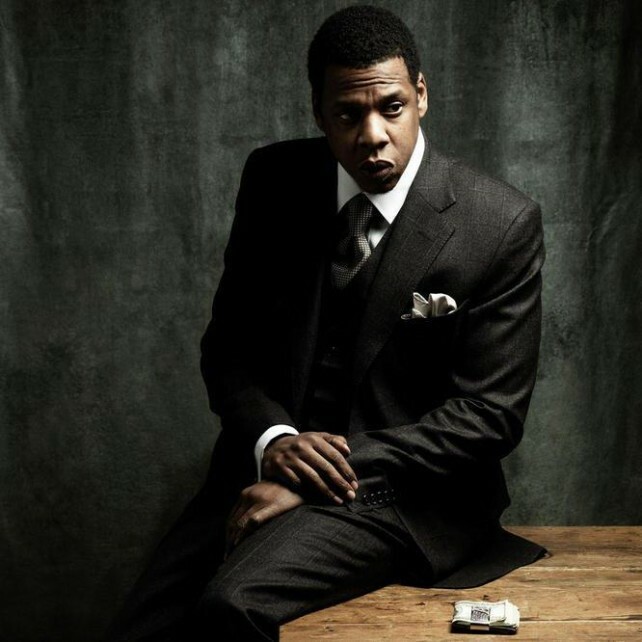 While men like Warren Buffet, Andrew Carnegie, Patrice Motsepe, Richard Maponya, Marks Shuttleworth and Robert Gumede usually top that list, there is another visionary we think is worth mentioning and that is none other than Entrepreneur/ Rapper/ Business Consultant/ Writer/ Restaurateur/ Fashion Designer and Philanthropist, Jay-Z (aka Shawn Corey Carter). And since we know how our generation of entrepreneurs loves business lessons from superstars, we thought we would share some of his insights here. Although he has never recorded a song about business intelligence or cohort analysis, Jay-Z’s discography is a rich library of business advice that has been topping the charts for over a decade. In an industry reputed for chewing entertainers up and spitting them out, Jay-Z has amassed a personal net worth close to half a billion dollars while turning the music business on its head for the last 20 years. Whether or not one is a fan of Jay-Z’s music, there is much to be gleaned from his rags-to-riches story that can aid entrepreneurs to develop their own businesses. It doesn’t take a lot of imagination to realise that if you want to be successful at anything, you have to work at it. However there are different ways of working and different ways of thinking. Jay-Z’s early mindset is classic entrepreneur – when the door to the ‘normal way’ was closed to him he found a creative solution that ultimately set him on the path to becoming who he is today. When Jay-Z was an unsigned rapper, he sold his tapes from the boot of his car while trying to get a record deal. All of the major record companies refused to sign him. He finally scored a deal with Payday Records, but after seeing how amateurly they operated, he realised something that became very critical to his success i.e. they didn’t do anything for him that he couldn’t do for himself. From this realisation he struck out on his own and used his own money towards forming his own record company, Roc-A-Fella Records. Jay-Z initially set out to become a rapper, but through seeking a new way to put out his product, he ended up becoming an entrepreneur. Here, Jay-Z admits that he has compromised his artistic vision to make his music more commercially accessible. Mainstream artists are often accused of “selling out” for doing exactly this, but Jay-Z openly admits to the practice and justifies it with a simple fact: it made him richer. As an entrepreneur, your vision may not always appeal to the largest possible market. The key is to keep an open mind about new opportunities and be ready to adjust your plans to seize them. Like Jay-Z, many entrepreneurs have made their millions by constantly refining their vision and adjusting their strategy to reach the largest possible market. In 2001, Jay-Z and Eminem were young stars, each several albums away from the iconic statuses they hold today. “Renegade”, their rare collaboration song on The Blueprint album from that year, cast the two as “Renegades” who risked becoming outcasts as they attempted to change the face of the music industry. Today, we know that these renegades succeeded in their mission. This song is a lesson in innovation and the rewards that are possible if you take the right risks. While it is often safer and easier to use your talents to feed the existing machine, there is far more opportunity in disrupting it. As an entrepreneur, being willing to take risks, potentially fail and work a lot harder are all key to building your business. Finding ingenious solutions to the particular problems you are facing and eschewing the ‘normal way’ things are done is an incredibly important muscle to develop. This can be done by asking questions like: What would it look like to break this? What would it look like to do everything ‘perfectly wrong’? What is the culturally accepted way of doing my business? What does it look like to flip that on its head? Do things your way and find creative ways of doing things differently. Don’t just do things because it’s the “normal” or “typical” way. Entrepreneurs and artists tend to be strong-minded individuals. Jay-Z is both, but that hasn’t stopped him from seeking the guidance of a host of mentors through the years. A good mentor has already been in your position. That means they can see what steps you need to take and what mistakes you must avoid – all the while still giving you room to breathe and grow on your own. If you don’t yet have a mentor on your entrepreneurial journey, get one. Jay-Z couldn’t have become the entrepreneur, rapper, and championship-calibre performer that he is today. On the song “Lost one” from the Kingdom Come album in 2006, Jay-Z raps “Shoulda stayed in food and beverage, too much flossing, too much Sam Rothstein..”. Here, Jay-Z draws a powerful business lesson from the Martin Scorsese classic movie, Casino. In the film, Robert De Niro plays Sam “Ace” Rothstein, a handicapper who is chosen by the mob to run a new casino in 1970s Las Vegas. Due to his criminal record, Rothstein is forced to runs things under the lowly title of “Food and Beverage Director.” When he begins to pursue a more public image in the interest of personal fame, we see his downfall as it parallels the downfall of mob rule in Vegas. The same thing happens to entrepreneurs. Letting a little bit of success coax you into laziness or over-indulgence are easy ways to run your fledgling business into the ground. As Jay-Z’s lyrics suggest, if Ace had stayed heads-down and focused on his original goal of running a profitable enterprise, he might have never fallen. The business lesson here is clear: don’t start a company to become famous; start a company to build a company. Keep your eye on the best interests of your business and don’t let the tempting distraction of personal fame compromise your original goals. In conclusion, Jay-Z has a famous quote in the song “Diamonds Are Forever (Remix)” in which he states “Difficult takes a day, impossible takes a week.” That statement is precisely what makes him a great entrepreneur. He is a high-school dropout, but he is intelligent and driven in ways that cannot be quantified by customary standards. All of his achievements come from his ability to accomplish purpose with smarts, effort and persistence, even against the odds. Therefore it will do well to study his successes and apply his methods because hard work alone may not get you to where you aspire to be, but it will definitely put you in place for when the opportunity arises.